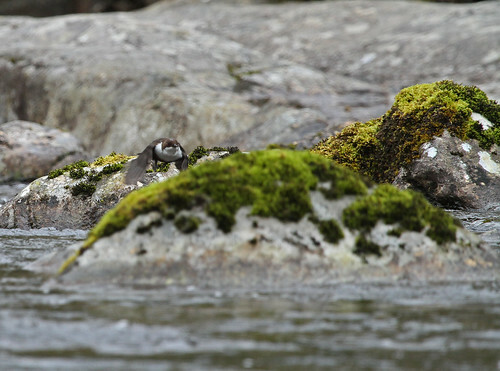 This entry was posted in Anisoptera, Birds, Dragonflies, Glen Affric, Insects, Mammals, Mustellidae, Ornithology, Predators, Scotland, UK wildlife, water birds and tagged Anisoptera, Cinclus cinclus, dipper, dragon flies, Glen Affric, grey wagtail, Highlands, Martes martes, Motacilla cinerea, Mustellids, Odanata, pine marten, Scotland, water birds. Bookmark the permalink. Just getting out there, as you say, is the most essential part. I’m having some real knee issues and I long for a return of the flexibility that allows you to hop from rock to rock and crouch down so low. Still, we must make do with what we have, and I’m still trying my best. Wishing you very happy holidays, Finn! Thank you very much indeed Gary, and a happy Yuletide and New Year to you too! Thanks Pat, I keep trying unsuccessfully to catch up and get current with my posting, but I think I’m just going to have to accept that I’m not going to recover from being six months behind. But if I get another 6 months beind everything will be back in synch again, at least from a seasonal if not a calendar point of view. Isn’t that dipper a beauty? Thanks Fran, I’m very pleased that you’re enjoying the Hisghland posts. We were only there for four days but we saw so much terrific wildlife, of which the highlight was the glimpse of the pine marten. Glen Affric was a really beautiful place, it had a real primeval feel to it, untouched and pristine, a rare thing in this day and age. I’ve never seen a wagtail buzz a dog before, that must be highly entertaining to watch. Couldn’t agree more. IMHO the best places are the ones where there are least humans! 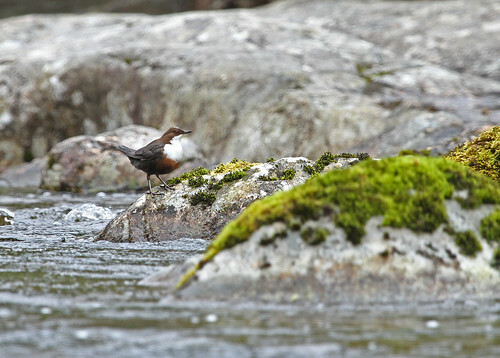 Lovely pictures of the dipper and the grey wagtail. We see dippers around here quite often but I have never seen one as close up as that. I didn’t know the colouration was so subtle. 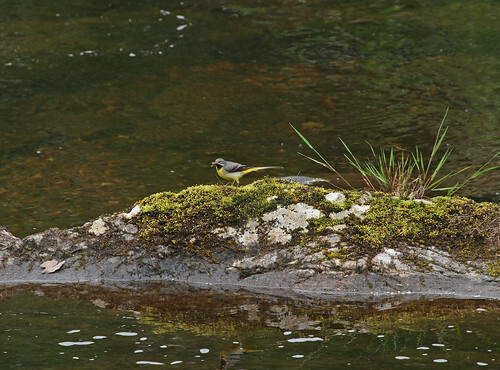 We also see grey wagtails and I like your idea of renaming them “saffron wagtails”. They are handsome little chaps when you see them up close. 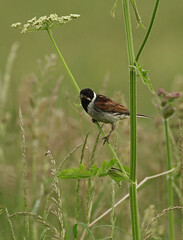 A bird that runs along the bottom of riverbeds to find food. This is unexpected. Most everything about a bird’s design, particularly it’s skeletal system is intended to lighten the load so it can conserve energy during flight. 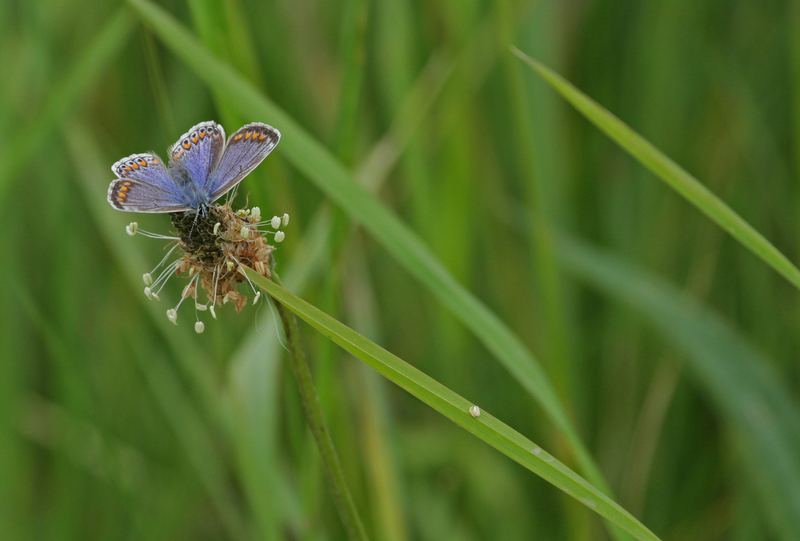 The natural world is full of surprises! Hey Rick, good to hear from you again. 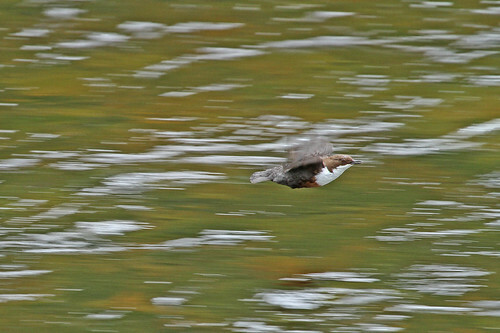 That is one of natures oddities but it seems to be a successful strategy for the dipper! 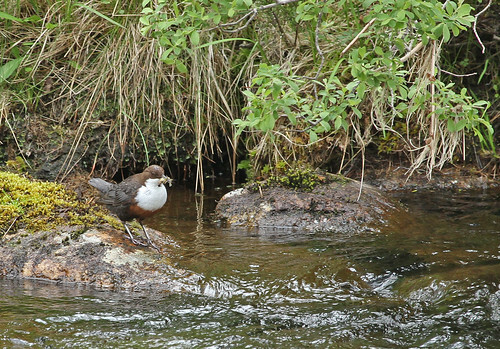 Delighted to see the dipper, he’s one of my favourite birds. I’m so glad you saw a pine marten, and it’s all the more special that you saw it so unexpectedly. Hello Lorna, that wild pine marten was a terrific moment but all the wildlife we saw on the whole trip made it a wonderful time. And there was so much we didn’t see so I’m just going to have to go back! Great photos and what a wonderful trip. The link you gave showed some images very much like a place 2 friends and I visited when we hired a car and toured England, Scotland & Wales staying in youth hostels in the late 1970s. The name Glen Affric doesn’t ‘ring a bell’ though. How I wish I had the health and money to re-visit the UK again with my DSLR. I see a whole lot more wildlife now I have a decent camera and I’m so much more observant of the small details around me (although I can’t walk up steep gradients having a serious heart condition these days). We were lucky enough to travel down mostly small country and coastal roads and visit really out of the way areas (as much as the usual tourist attractions). Of course the UK is much more expensive now and at the moment our Australian dollar is very poor. I seem to remember the youth hostels in the country cost about 1.25 pounds a night and reasonable hotels about 25 pounds a night in London (at that time). I think we stayed in one Bed & Breakfast which was about 3 pounds a night. I really enjoy seeing the wildlife through your photos. 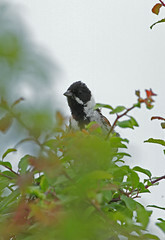 Hello Vicki, I’m glad you likee seeing our wildlife at The Naturephile! Staying in the UK is rather more expensive these days although myself and my friend hired a static caravan for our nstay there and the whole thing with flights, hire car and accommodation set us back around £600 so it can be done on a budget too. It’s an intereting observation you make about the amount of wildlife that you see with your DSLR, I found the same when I started getting out and with my camera so I guess I must be paying more attention to what’s going on a round me.